Draft: 2006, St. Louis Cardinals, 2nd rd. Married: Nikki … Twitter: @jonjayU … Instagram: @jonjayu ... Attended the University of Miami (Fla.), where he was a three-time All-American and a First-Team All-Atlantic Coast Conference selection ... Was a member of the 2005 USA Baseball National Team ... Is a 2003 graduate of Columbus High School in Miami, Fla. … lettered in both football and baseball while in high school ... Hosted the first Jon Jay Celebrity Bowling Challenge in January of 2012, to benefit the Miami-Dade Boys and Girls Club … has hosted the event each year since 2012. Combined to hit .268 (141-527) with 19 doubles, seven triples, three home runs, 40 RBI and 74 runs scored over 143 games between Kansas City and Arizona ... Hit .284 (29-102) with RISP (.291 with RISP/two outs) ... Was one of five outfielders to not commit an error in at least 200 total chances, joining Mike Trout, Mark Canha, Guillermo Heredia and Josh Reddick ... Appeared in seven games as the designated hitter, hitting .345 (10-29) … appeared in just two games as the DH from 2010-17 ... Began the season with the Royals before being traded to Arizona on 6/6 in exchange for RHP Elvis Luciano and LHP Gabe Speier ... Batted .368/.402/.436 (43-117) with six doubles and 10 RBI in May … hit safely in 26 of his 28 games during the month … his 43 hits tied for the second-most in the majors ... Matched his career high with three runs scored on 5/8 at Baltimore, 6/12 vs. Pittsburgh and 7/7 vs. San Diego ... Recorded a season-high four hits (career-high three doubles) on 5/28 vs. Minnesota ... Batted .333 (29-87) with four doubles, three triples, seven RBI and a .814 OPS in 25 games from 7/24-8/27. Recorded a career high with a .374 on-base percentage in his only season with the Cubs ... Played 64 games in left field, 54 in center and 19 in right … did not commit an error in 113 games (141 chances), extending his streak to 189-consecutive games without an error (319 chances) ... Batted .318/.410/.341 (27-85) against left-handers and .289/.364/.384 (85-294) against righties ... Ranked sixth among National League pinch-hitters with a .325 (13-40) average ... Hit .388 (33-85) with five doubles in the eighth inning or later … batted .385 (15-39) in April and .321 (18-56) during July ... Connected on his third career pinch homer on 7/5 vs. Tampa Bay, a three-run shot off Erasmo Ramírez ... Made his first career pitching appearance on 7/6 vs. Milwaukee, throwing 1.0 scoreless IP ... Played in all nine of the Cubs' postseason contests, going 4-23 (.174) with two doubles and two runs scored … led off the eighth with a double and scored in Chicago's 3-0 victory at Washington in Game 1 of the NLDS ... Recorded his 12th multihit game in postseason play in Game 5 of the NLDS, including a leadoff double. Jon appeared in 90 games in his only season with the San Diego Padres as he missed time with a broken right forearm ... still, hit .291 (101-for-347) with 26 doubles, two homers and 26 RBI ... Played in 72 games (68 starts) in center field, made nine starts in right field, and played eight games (five starts) in left field ... Compiled a .995 fielding percentage (1 E/195 TC) and four outfield assists ... Batted .311 (33-for-106) against left-handed pitching and had a .282 average (68-for-241) against righthanded pitching ... Hit .410 (25-for-61) with 25 RBI in 71 plate appearances with runners in scoring position ... Hit. 306 (26-for-85) with two outs in an inning ... Recorded a career-high five hits, June 2 vs. the Mariners ... had gone 4-for-6 the previous game, becoming the second Padre ever with four-or-more hits in consecutive games, joining Tony Gwynn in 1993 ... Tied his career mark with two doubles, June 17 vs. Washington ... Landed on the 15-day disabled list, June 28 (retroactive to June 20), after he suffered a broken left forearm when he was hit by a pitch by the Nationals Gio Gonzalez, June 19 ... was leading the N.L. in doubles with 24 at the time of his injury ... Transferred to the 60-day D.L., August 27 ... played three injury rehab games with Single-A Lake Elsinore, September 3-5, going 3-for-10, before he was activated, September 6. Played in 79 games for the Cardinals, missing time with two stints on the disabled list with a left wrist injury....Hit .261 (18-for-69) over his first 20 games in April....Landed on the 15-day disabled list on 5/11 with left wrist tendinitis…played in three games for Single-A Peoria on a rehab assignment before being reinstated on 5/29....Landed back on the 15-day DL on 7/1 with a left wrist injury… played in four games with Triple-A Memphis on a rehab assignment, hitting .385 (5-for-13), before being reinstated on 9/4....Played in 22 games, 11 starts, for the Cardinals from 9/4 through the end of the season....Played in one postseason game during the Division Series against the Cubs, striking out as a pinch-hitter....Acquired by the Padres after the season on 12/8 during the winter meetings in exchange for INF Jedd Gyorko and cash considerations....Prior to the start of the season, signed a two-year contract with the St. Louis Cardinals through the 2016 season. Batted .303, but fell 34 plate appearances short of qualifying for the N.L. batting leaders...Went 45 games from 7/25-9/18 without going hitless in consecutive games, batting .338 (49-145) during that stretch...Batted .327 with two outs (48-147), ranking 2nd in the N.L. (Harrison, PIT .359)...Batted .500 in bases loaded situations (6-12, 13 RBI), T4th in N.L., and .306 (22-72) in close & late situations, tops for the Cardinals and 20th in the N.L...Hit .375 (33-88) vs. left-handed pitchers, ranking 1st among MLB LH batters (min. 80 AB)...Led MLB with a career-high 20 HBP, fourth instance a Cardinals player was hit by pitch 20 or more times in a single season (since 1914). Last was Fernando Vina (22) in 2001...Played all three outfield positions in the same game three times (7/19, 8/20, 9/6) for the first time in his career...Went 6-18, .333 as a pinch hitter, collecting 2 doubles and 4RBI. The six pinch hits were T2nd most among Cardinals...Batted .310 in June (22-78) and .382 (29-76) in August, ranking 2nd in the N.L.. Also had a monthly high 15 August RBI...Hit two of his three home runs in 2014 over a period of three games (8/9-11)...Scored two or more runs in 10 games, with the Cardinals going 9-1 in those games (48 times in career; Cardinals 41-7)...Hit safely in 12 straight games 8/9-20, hitting .514 (18-35) during that stretch (2-2B, 2-HR, 11-RBI)...Underwent arthroscopic surgery in October to repair injured left wrist...Playing in his 4th postseason, started in CF all nine games...Batted .483 (14-29) during the postseason, 2nd highest average in MLB for a single postseason...Had hits in 8 of 9 games and reached base in all nine...Has reached base in his last 16 postseason games, a franchise record, and is hitting .370 (20-for-54) during that stretch...Doubled in the 3rd inning of Game 5 of the National League Championship Series to snap a streak of 91 postseason at-bats without an extra-base hit, a Major League record...Reached base twice in each of the four Division Series games vs. Los Angeles Dodgers...Had 2 hits in Game 1 and 3 and went 5-11 (.455) in the DS...hit .500 (9-18) during the League Championship Series vs. San Francisco Giants...Reached base in all 3 of his plate appearances in LCS Game 1 with 2 singles and a HBP...Had 3 hits, scoring twice, in LCS Game 3 and in Game 4 walked twice and singled...His RBI double in Game 5 was his first RBI of the series. Set career highs with 67 RBI, 27 doubles, 151 hits, 75 runs, 52 walks, five sacrifice flies and seven intentional walks... Finished the season on a 14-game hitting streak (.386, 22-57; 9/15 - end of season) and reached base safely in his final 17 games of the season... Had 40 multi-hit games for the second consecutive season. Matched his career-best with two four-hit games... Hit by pitch 14 times, T4th in the National League and tops on the Cardinals - one shy of his season-high of 15 in 2012... Ranked 2nd on the Cardinals with 9 sacrifice hits, T15th in the N.L. and T5th among position players in the N.L... Ranked 2nd among N.L. centerfielders with a .997 fielding pct. and tied for the team lead with four outfield assists (Beltran)... Committed his first error in 246 games on 7/30/13 at PIT. Set a Cardinals record (245) for consecutive games in the outfield without an error (8/25/11 - 7/29/13)... Posted 13 multiple run games, with four three-run games (3 vs. PIT); Cardinals were 12-1 when he scored two or more runs... Homered in seven games with the Cardinals 7-0 in those games... Tied with Matt Carpenter for most hits vs. N.L. Central opponent in MLB (86); batted .330 with 4 HR and 42 RBI vs. the Central... Rapped out a 10-game hitting streak 5/2-12 in which the first 5 games were all multi-hit... Set a personal game high with four RBI at MIL (5/4) and did it again 8/18 at CHI... Had an outstanding August, batting .327 (32-98) with 2 HR and 19 RBI. Knocked in 19 runs in August, setting his single-month best for RBI. Finished the year ranked 9th in the National Leauge with a .305 average and ranked 4th in the N.L. when batting in the lead off position (.303). Was the team leader with 21 defensive gems&had 0 errors in 292 total chances, becoming just the 3rd Cardinals outfielder to play errorless defense for an entire season (min. 108 games). Led the team with career-highs in SB(19) and HBP(15, 3rd, NL). Stole career-best 2 bases twice: 6/30 vs.PIT&8/9 vs.SF. Had 36 multi-hit games (20 after 8/6); 12 3-hit games (T15th in NL) and two 4-hit games. Was on the disabled list 5/16-6/21 with a right shoulder sprain. Played two games at Memphis (AAA) on a rehab assignment (3-7, 3B, 3RBI). Had a season best 11-game hit streak 4/11-5/2 (.488), one game shy of career high. Set a career-high of 4 hits on 7/22 vs. CHI&had his 1st GWRBI of the season; went 4-4 vs.SF(8/6). Batted .355 (8th NL)in August & ranked 2nd in hits (38). Finished Sept. ranked 1st in the NL in at-bats (119)&1st in MLB in HBP(6). Had a 16-game (.460, 33-72) home hitting streak snapped on 10/1. 2012 POSTSEASON: Played every inning of all 13 postseason games in centerfield...made a spectacular catch at thecenterfield wall in Division Series Game 2 at Busch Stadium vs. Washington and had a single, triple and 3RBI at the plate during Game 2....had 2 hits and scored twice during DS Game 3 at WSH ... had six hits in the League Championship Series hitting in five of the seven games...drove in 2 runs with a double in LCS Game 4 vs. San Francisco. Spent the entire season with St. Louis and appeared in a team high 159 games (T8th in MLB). ... Became the everyday centerfielder after 7/31 trade of Colby Rasmus & led Cardinals outfielders with his 12 defensive gems. ... Had five outfield assists: four coming from centerfield and one while in right. ... Ranked fourth on team with 135 hits. Had a team-leading 17 infield hits. ... Ranked 11th in the National League with a .303 BA (47-155) in the 7th inning or later. ... Hit safely in 82 of 107 games started (124-411, .302, 6 HR, 29 RBI). ... His 10 home runs and 37 RBI were a career high. Home run #10 came on 9/6 vs. MIL, a 4-2 win in a game he also singled and drove in two. Also posted career highs in doubles (24), stolen bases (6) and runs (56). ... His first career pinch home run was 4/11 at ARI & hit a second pinch-HR on 5/4 vs. FLA. Was 5-23 as a pinch hitter, with two home runs and five walks. Ranked T5th in MLB with two pinch-hit home runs. ... Made his first start CF start of the year on 4/27 at HOU. Made 65 starts in center, 30 in right field and 12 in left field. ... Picked up his first career 3-hit and 3 RBI game on 5/12 game at CHI, as leadoff batter. Batted second in the majority of his starts (72 times), but hit lead-off 12 times (as starter). He was the clean-up batter 6/5 vs. CHI, going 1-3 with a single and walk. ... Batted .397 in May, which ranked second in the National League and he led team with 27 hits in July. ... He snapped an 11-game hit streak (7/21-31, .313) on 8/1, one game shy of his career high. ... Went 2-3 with a home run and double on 8/21 at CHI & 2-4 with double and triple on 9/3 vs. CIN. ... Had a career high five consecutive multi-hit games from 9/3-7. Had 37 multi-hit games, including six 3-hit efforts.2011 POSTSEASON: Was one of six Cardinals to play in all 18 postseason games ... had two sacrifice hits, ranking T2nd on the team with Daniel Descalso and one behind Rafael Furcal (3) ... started in centerfield in first four Division Series games vs. PHI ... had two hits, walk and two RBI in NLDS Game 2 win ... made sliding catch to end Game 4 of NLDS, robbing Placido Polanco of a two-out hit ... tracked down Chase Utley's 9th inning shot to the centerfield wall in Game 5 DSrobbing him of extra bases in a 1-0 game ... went 3-for-5 with three runs scored including bunt single in Game 2 of NLCS; the three runs tied a then Cardinals post-season record ... doubled home the first Cardinals run in Game 3 of NLCS ... madedefensive gem catch against wall in Game 6 of NLCS off George Kottaras for 2nd out in 9th inning ... snapped an 0-for-16 World Series slide going 2-for-4 in Game 6 including a clutch hit in 10th inning and scored game-tying run. Played in 105 games in his rookie season, starting 66. Played all outfield positions with 61 games in RF, 27 in CF and 9 in LF. Led all Cardinals CFer with 2 OF assists...Recalled on 4/26 and again on 7/3, remaining on the roster the rest of the season...Ranked among National League rookie leaders in batting (4th, .300), on base percentage (4th, .359), outfield assists (T3rd, 5) and T5th longest hitting streak at 12 games (19-38, .500)...Led all MLB players by appearing in 29 games during the month of September...Led the National League in batting during the month of July with a .431 BA (31-72)...Batted .318 (7-22) as a pinch-hitter with 3 RBI...Led the Cardinals with three bunt singles...Began season in Memphis (AAA) with a 16-game hitting streak (25-68, .368). Played in 42 games batting .342 with 4 HR, 32 RBI and led the team in stolen bases (13-13)...At Memphis, w/RISP batted .487 (19-39) with 28 RBI and .571 w/RISP and 2 outs...Was named Cardinals Minor League Player of the Month in April batting .372 with 2 HR, 11 RBI and 8 doubles. Tied a Memphis (AAA) franchise record with five hits against Round Rock (7/28)...Played in 136 games, highest on team and third most in the Pacific Coast League...Led all Memphis outfielders with a .996 fielding percentage (1 error) in 262 total chances. Centerfielder has only committedone error in 367 minor league games...Led team with 12 HBP and tied for team lead with eight sacrifices and three intentional walks...Finished second on the team and in the Cardinals minor league system with 142 hits and 72 runs...Hit a solo home run and scored two runs in the AAA Championship game against Durham...Tabbed as best "Hitter for Average" in the Cardinals minor league system by Baseball America's "Best Tools" survey. Returned as an every day centerfielder after an injuryplagued2007...played the majority of his season at Springfield andenjoyed a month-long promotion to Memphis in August...recordeda 12-game hitting streak in which he had eight multi-hit games andwas 24-43 (.558) from 4/20-5/1...named Texas League Player ofthe Week 6/2-8 (12-24, .500) and rewarded as the Organization'sJune Player of the Month...named to the Texas League All-Starteam and went 2-3 with a double and walk, scoring once in theextra-inning loss...transferred to Memphis on 7/29 but was placedon the D.L. on 8/15 until the end of the season with a left shoulderstrain...was hitting .345 with hits in all but four of his 12 gamesplaced at time of his injury...ranked the 16th-best prospect in theTexas League by Baseball America. Season was hampered by shoulder and wrist injuries...played with Springfield (AA) until 5/18 when he was placed on theD.L. with a right shoulder strain...appeared in one game withGCL Cardinals on a rehab assignment (6/21)...when reinstatedwas placed on the Palm Beach roster...went back on the D.L. 7/10-19 and again 8/10 to the end of season with a left shoulder strain. Played with low-A Quad Citites after being drafted inJune...batted .339 in July and .361 in August...played all of hisgames in left field or center field...his .342 overall average was topsamong players from the Cardinals '06 draft class...was ranked the5th-best prospect in the organization by Baseball America. March 26, 2019 Chicago White Sox placed CF Jon Jay on the 10-day injured list retroactive to March 25, 2019. Right hip strain. January 10, 2019 Chicago White Sox signed free agent CF Jon Jay. 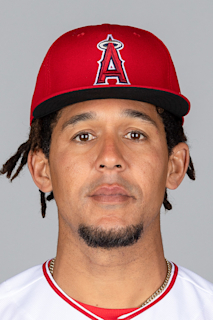 October 29, 2018 RF Jon Jay elected free agency. June 8, 2018 Arizona Diamondbacks activated RF Jon Jay. June 6, 2018 Kansas City Royals traded LF Jon Jay to Arizona Diamondbacks for Elvis Luciano and Gabe Speier. March 6, 2018 Kansas City Royals signed free agent LF Jon Jay. November 2, 2017 LF Jon Jay elected free agency. November 29, 2016 Chicago Cubs signed free agent LF Jon Jay. November 3, 2016 CF Jon Jay elected free agency. September 6, 2016 San Diego Padres activated CF Jon Jay from the 60-day disabled list. September 3, 2016 San Diego Padres sent OF Jon Jay on a rehab assignment to Lake Elsinore Storm. December 8, 2015 San Diego Padres traded 3B Jedd Gyorko and cash to St. Louis Cardinals for CF Jon Jay. September 4, 2015 St. Louis Cardinals activated CF Jon Jay from the 15-day disabled list. August 28, 2015 St. Louis Cardinals sent OF Jon Jay on a rehab assignment to Memphis Redbirds. May 29, 2015 St. Louis Cardinals activated CF Jon Jay from the 15-day disabled list. May 26, 2015 St. Louis Cardinals sent OF Jon Jay on a rehab assignment to Peoria Chiefs. June 22, 2012 St. Louis Cardinals activated CF Jon Jay from the 15-day disabled list. June 19, 2012 sent LF Jon Jay on a rehab assignment to Memphis Redbirds. May 15, 2012 St. Louis Cardinals placed CF Jon Jay on the 15-day disabled list. Sprained right shoulder. July 3, 2010 St. Louis Cardinals recalled Jon Jay from Memphis Redbirds. June 5, 2010 St. Louis Cardinals optioned Jon Jay to Memphis Redbirds. April 26, 2010 St. Louis Cardinals recalled Jon Jay from Memphis Redbirds. March 26, 2010 St. Louis Cardinals optioned Jon Jay to Memphis Redbirds. November 18, 2009 St. Louis Cardinals selected the contract of Jon Jay from Memphis Redbirds. October 7, 2009 OF Jon Jay assigned to Leones del Caracas.